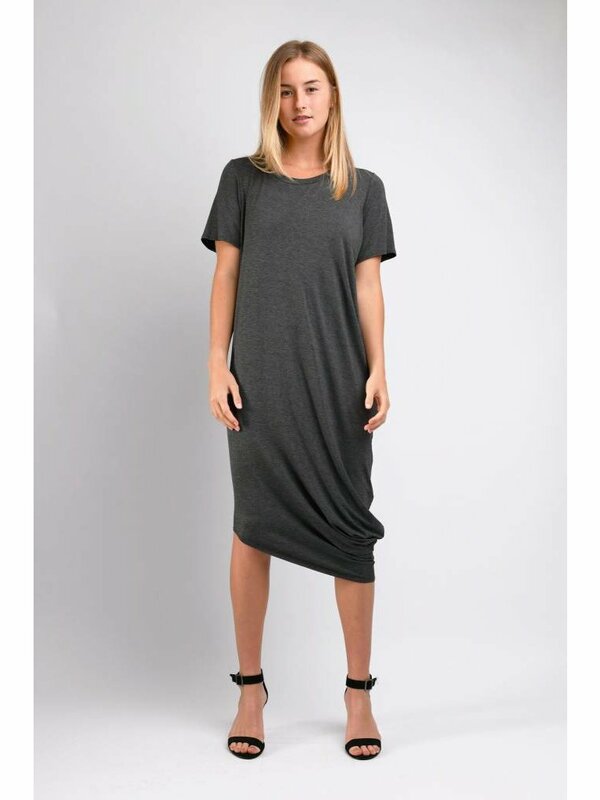 You know how much we love t-shirt dresses. 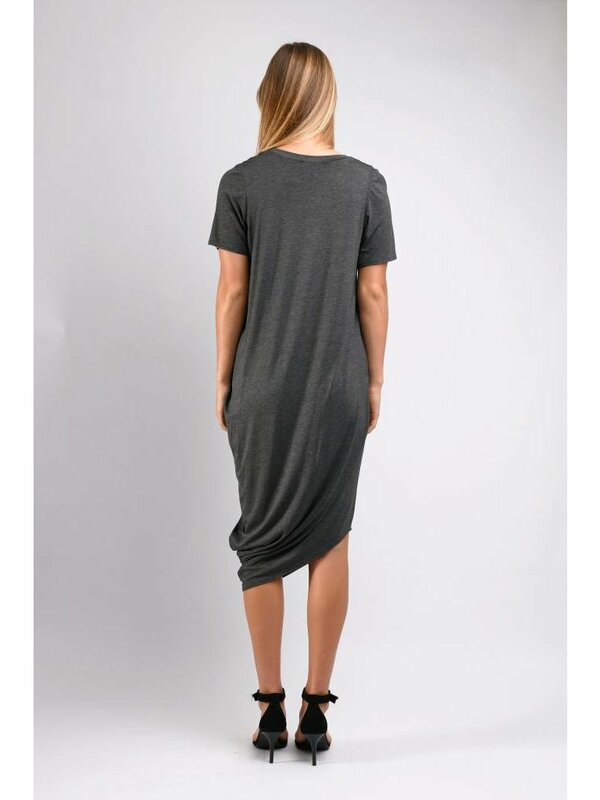 The Roxanne is our simple but "dressy" version with an elegant side drape that falls asymmetrically. This will be your "perfect-for-anything" style.